Walk into any pub in Vancouver, take a look at the taps and you’ll see an array of strange and unique beers most likely brewed somewhere in-province. This is a stark change from just a few years ago when all the average bar was likely to offer were Coors or Heineken. 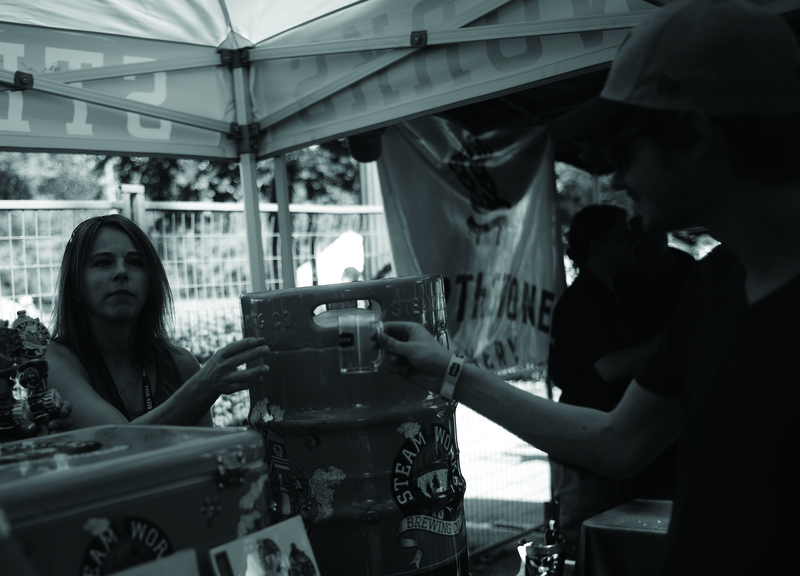 It’s no doubt that Vancouver has come to love its craft beer, and to celebrate this home-brewing renaissance, hundreds of brewers from Vancouver and beyond came together to put on the city’s sixth annual Craft Beer Festival. Over the blazingly hot June weekend thirsty beer lovers waited in a line that stretched a good way down North Renfrew Street. Once inside, attendees were treated to a selection of over 100 craft brewers, each providing a selection of their finest concoctions. The fairground was crammed from end to end with tents housing brewers eager to showcase this year’s offerings. Side attractions included entertainment courtesy of STIHL Timbersports as well as local DJs and several food trucks. Admission to the festival cost a fairly steep $35 per person, plus fees and taxes, as well as a modest $1.25 each for tokens which could be exchanged for samples of beer. The admission fee also included a souvenir plastic tasting glass. The yearly festival marks the end of Vancouver Craft Beer Week which featured alcohol-related-events all over the city. Now in its sixth year, the festival, which is the first and largest of its kind in Canada, was held on the PNE fairgrounds for the first time to accommodate the festival’s larger size and growing demand. An event of this magnitude required an extensive workforce of volunteers. 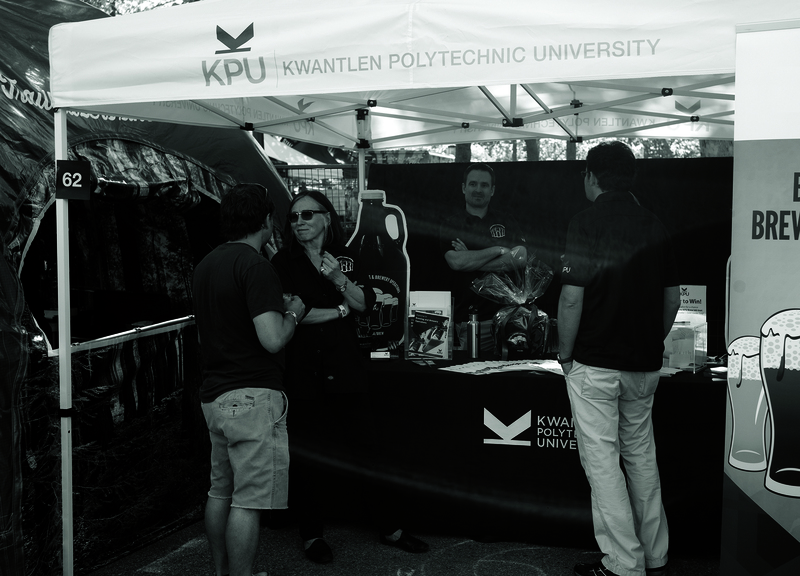 Among the hundreds to turn up to make the festival possible was KPU’s own Joseph Watson-Mackay who has been involved with the festival for the past four years. He says it’s the sense of community that attracts him to the craft beer industry. 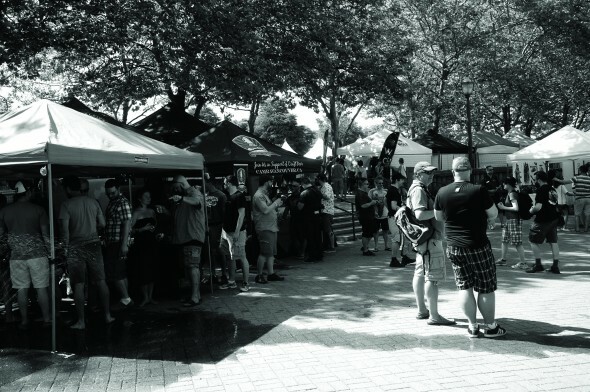 As with past years, 2015’s Craft Beer Festival proved to be a massively popular event, which of course meant everpresent lines and crowds throughout the weekend. Fortunately, event staff were well prepared to meet the demand, and the very large selection of beer tents meant that after the initial hold up, attendees never had to wait long to get to any particular brew. One might expect that an event of this nature would suffer from issues of public drunkenness. After all, as the people of Vancouver are all too aware, large crowds and flowing alcohol can be a recipe for disaster in any city. Fortunately, event organizers were well prepared for this and all volunteers at the event had their Serving It Right certifications. Any obviously inebriated patrons were promptly cut off and the crowd remained engaged yet peaceful. With this year’s massive attendance it’s almost a given that there will be a 2016 Craft Beer Festival, and that means that there will be need for another batch of volunteers. It’s an experience that Watson-Mackay highly recommends.